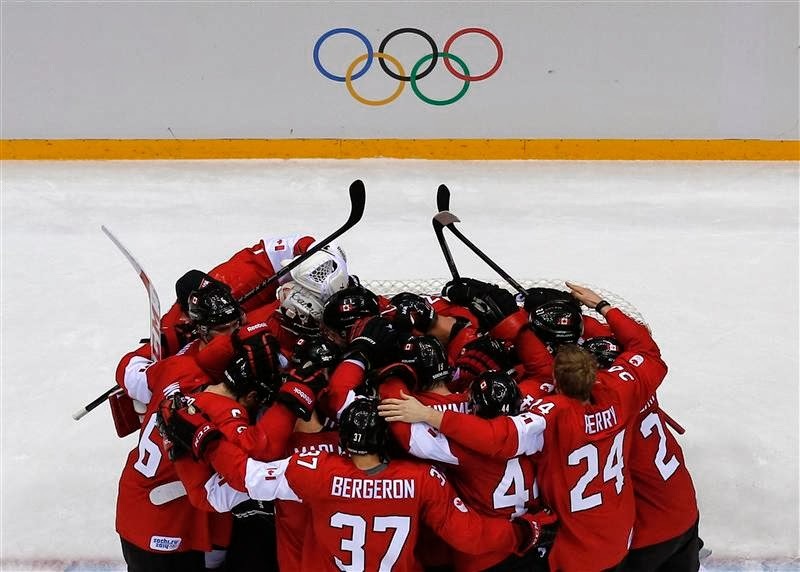 Canada’s players huddle as they celebrate defeating Sweden in their men’s ice hockey gold medal game at the Sochi 2014 Winter Olympic Games, February 23, 2014. Photo: Mark Blinch. Joan Fuster (1922-1992), Judicis finals (1960).